Of these, 701 customers have written no texts or given their feedback in another language. 693 customers have given this product a 4-star rating. Of these, 659 customers have written no texts or given their feedback in another language. 317 customers have given this product a 3-star rating. 73 customers have given this product a 2-star rating. 23 customers have given this product a one-star rating. 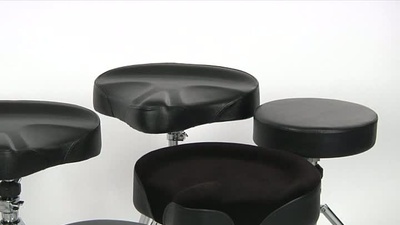 I run a PA company and needed a stool for our festival 'house kit'. 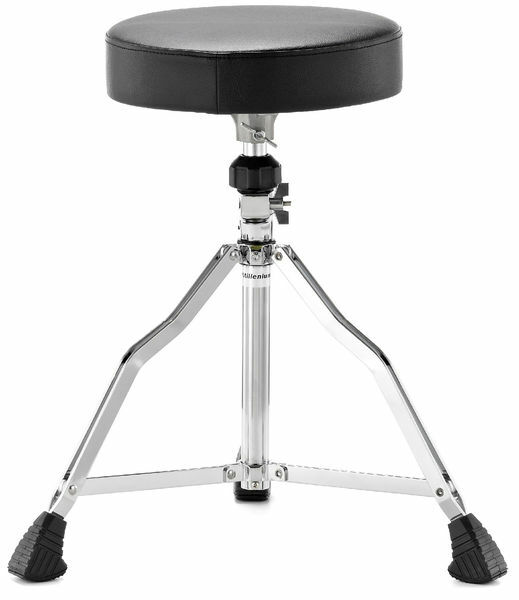 To be honest this sees as much use around the workshop and stage side as a general stool as it does behind a drum kit. we bought it just to last the summer but it has exceeded expectations. Bear in mind that I'm a lot bigger than the average guy, at 150kg, s the stool has taken a lot of downward force without any damage to parts. The only exception is the feet - and here I should apply a note of caution. I used it as an engineers stool at a festival, on soft grass. my weight pushed the metal legs through the rubber feet. I should imagine it would be fine if used properly and it still suits our purposes but others may find that if there is a weak point, it may be that the rubber feet wear through over time. I should add though that despite the legs protruding from the feet, this doesn't appear to have effected use or stability in use. 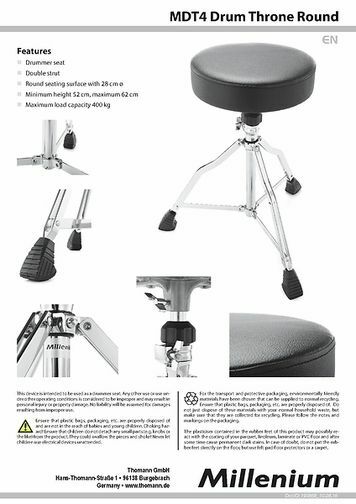 The drummer in our band needed a new drum stool and wanted to get something good and cheap. 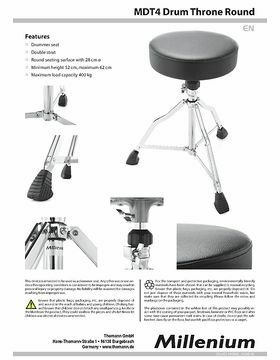 If you are looking for the same thing, the "Millenium MDT4 Drum Throne Round" is the right one for you. It's not very stable and defineteley not the best one we've had, but for the price it's just great. We use this one only for rehearsals and it just works. As I said, it's not amazing but it's enough to be able to play and have fun! 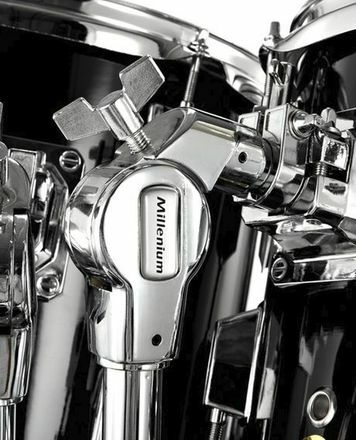 ID: 190868 © 1996–2019 Thomann GmbH Thomann loves you, because you rock!